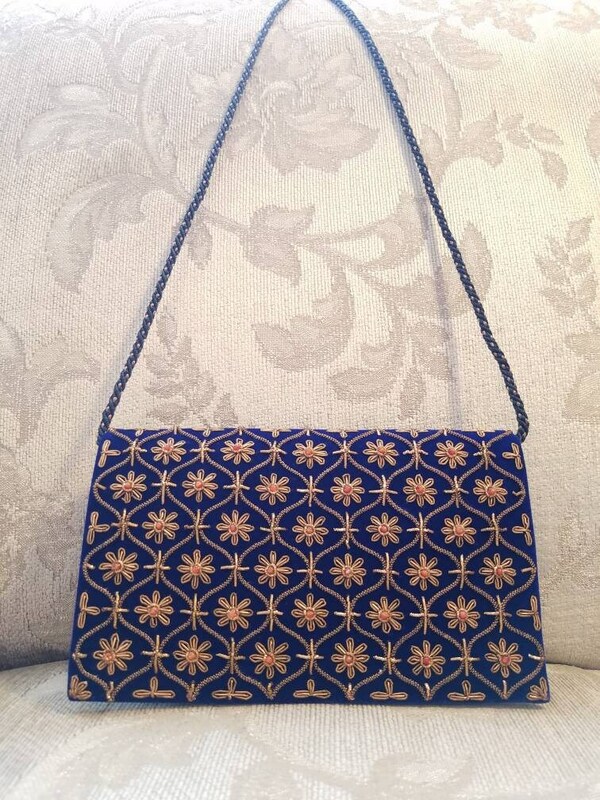 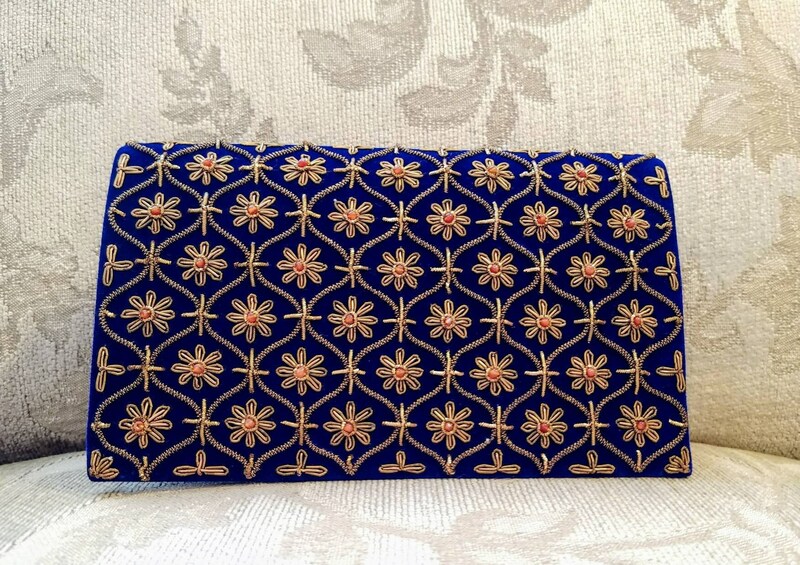 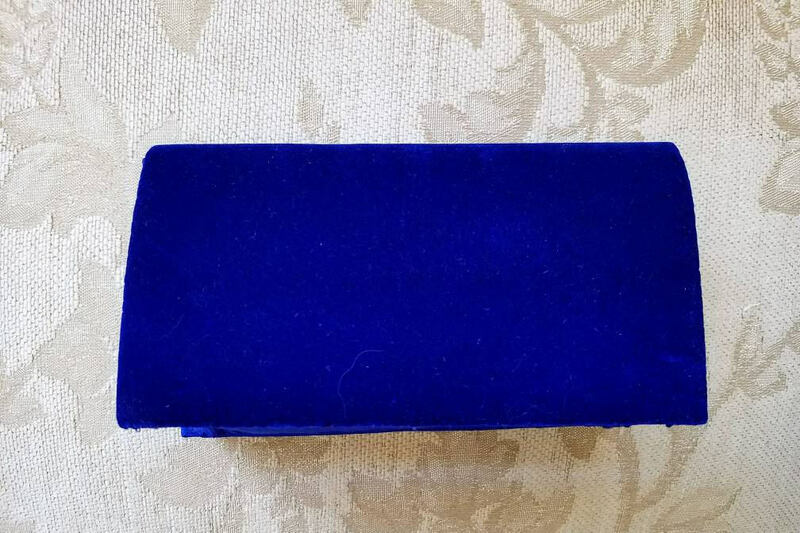 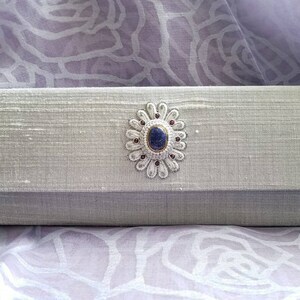 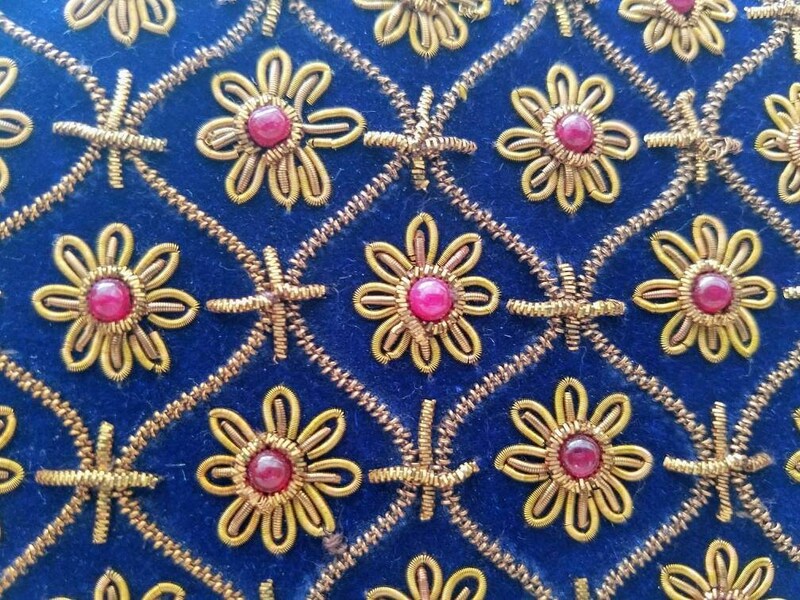 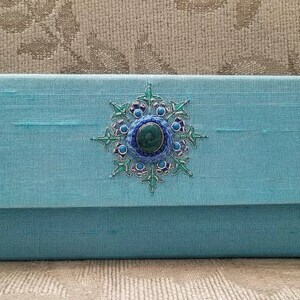 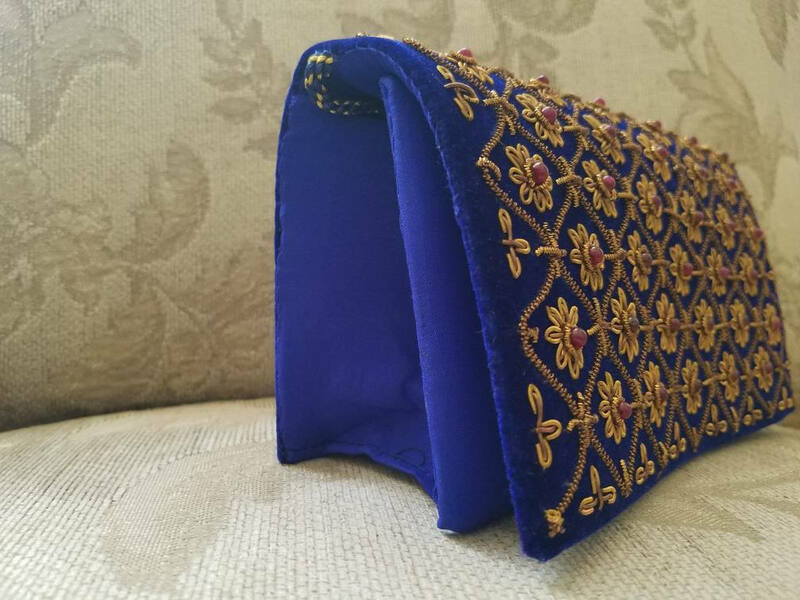 Hand embroidered blue velvet clutch, using copper/antique gold colored metallic threads, in the zardozi tradition. 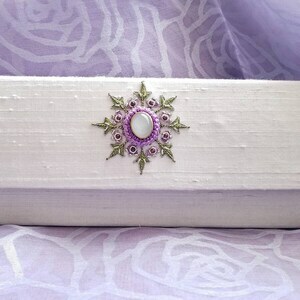 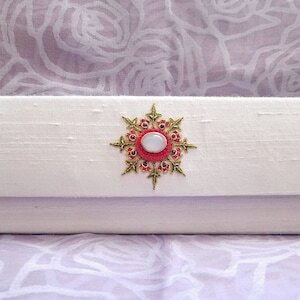 Genuine semi-precious carnelian stone beads sewn into the center of each flower, creating a 3D effect. 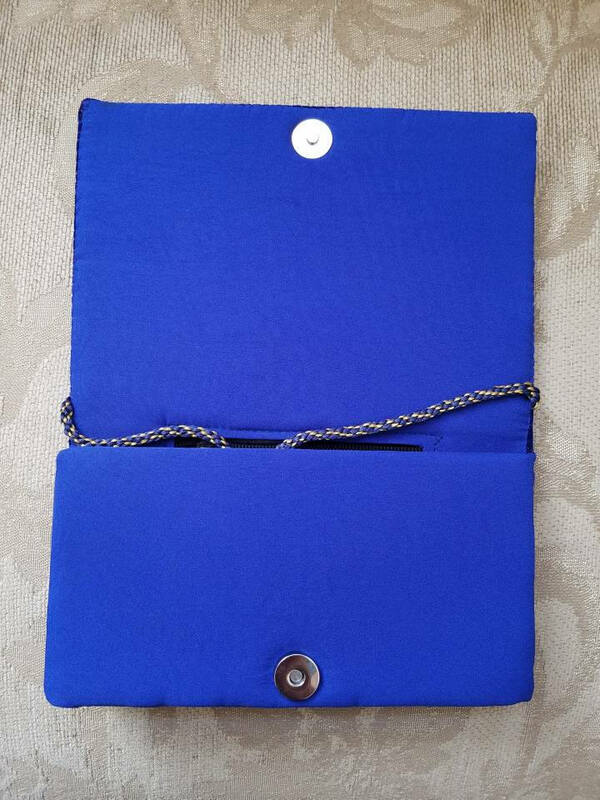 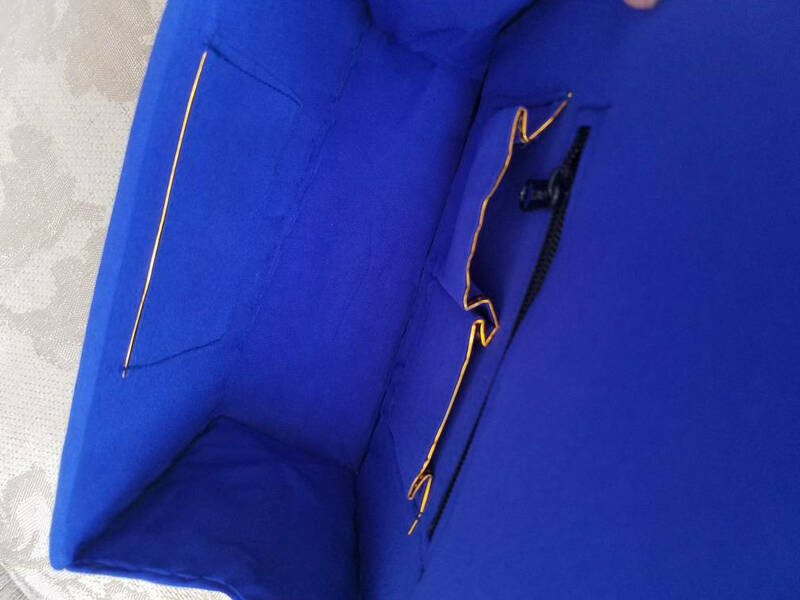 - braided blue and gold colored corded shoulder strap with 17.5 in drop, which can be tucked inside.